1. 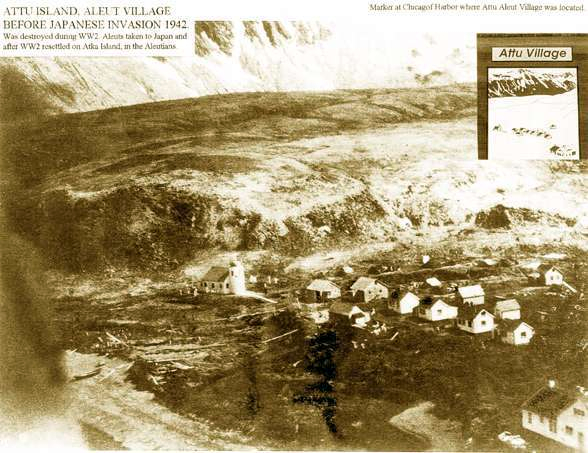 Attu Aleut Village, Chichagof Harbor Pre-1942 Japanese Invasion Photo. 2. 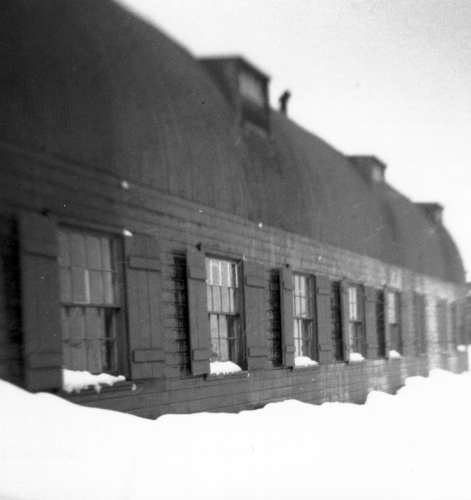 Attu's South Barracks, 1946. Rene Thibault's bunk was under the middle window on the second floor. 3. Attu’s Marine Area, 1946. Click HERE for an enlarged view. 4. This is the Marine Area on Attu in 1946. I've added labels to identify some of the more well-known places there. To compare the area as seen in 1946 to 1995, click HERE. 5. 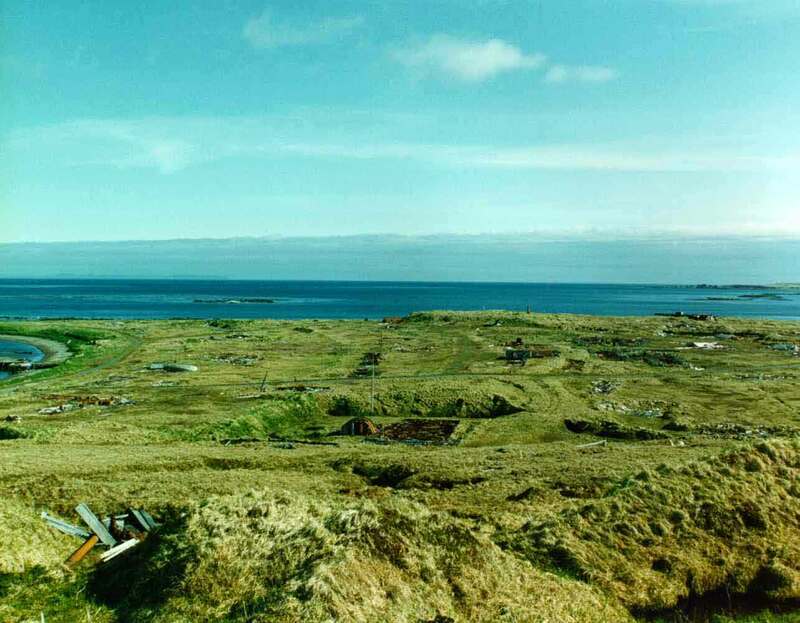 Attu’s Marine Area, 1995. Click HERE for an enlarged view. 6. 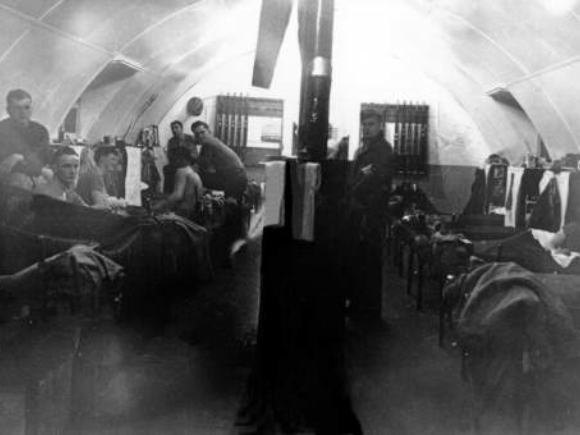 The 28th of May, 1946, 2nd Squad's Squad Room, Top Side, South Barracks. 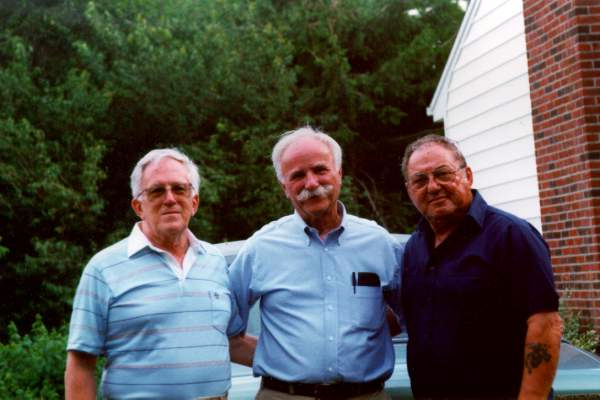 From left to right: Rick Shwery, Ed Robnett, Bob Stone, Charles Pizzotti, J.R."Frenchy" Thibault, Kober Seippel. Standing behind stove: Bill Thornberg. In bunk on the right: "Buzz" Sawyer. There's a doorway behind the stove pipe, behind the rifles, that goes into another similar squad room. 7. 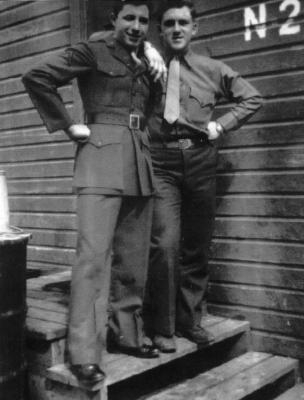 The Marine Brig, Attu, 1946. Interior view. Chances are if you were in the Navy (or Marines) and had a little too much kickapoo joy juice to drink, you would end up here! 8. 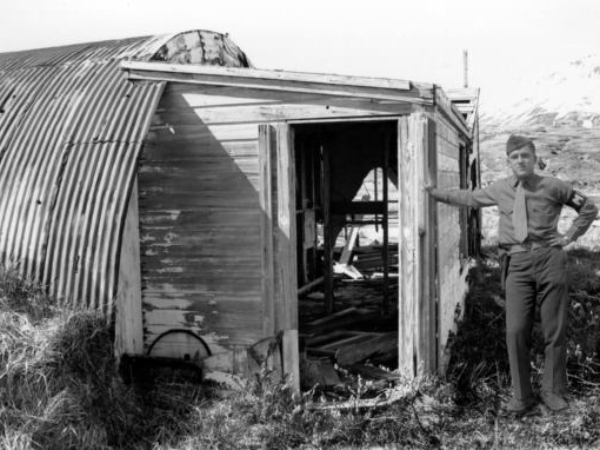 J. Rene "Frenchy" Thibault standing by the door of the Guard Shack, Attu, 1946. 9. Attu, May-June 1995. 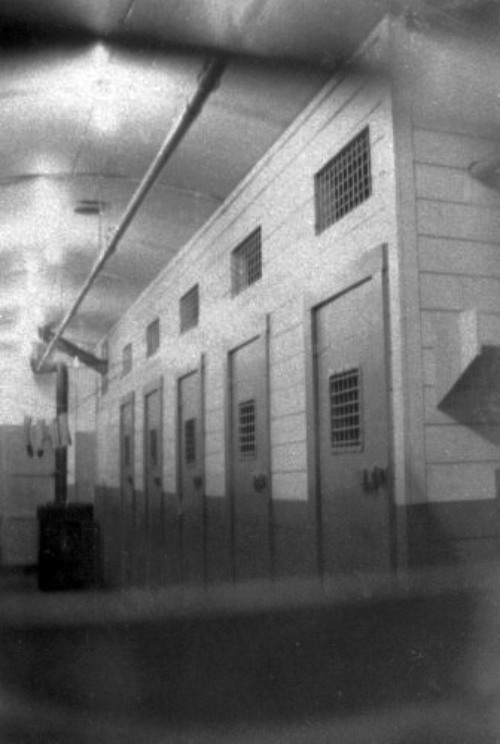 Close-in view of Marine Guard Shack, rear view, wall removed. Looks like a water heater. Photo by J. Flynn, provided by Rene. 10. So, what's going on here? Seems like it's Rene Thibault, on Attu...but what has happened to the building? Ah, a little tomfoolery by HLS's graphics artist, Nadine Smith. The building photo was shot in 1995, while Rene's photo was from 1946! See photo #8 above for a view of the building (and Rene) in 1946. 11. 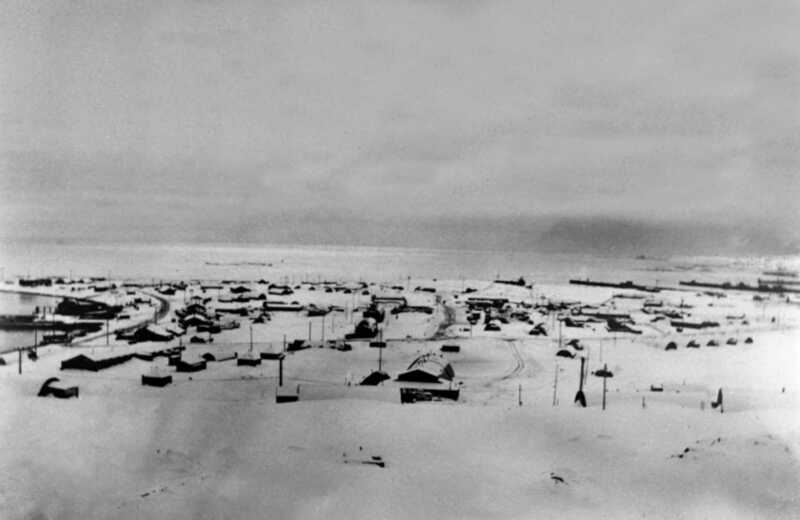 Attu, February 1946. 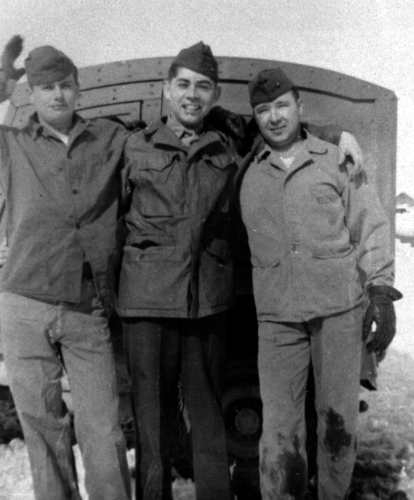 Left to right: Thornberg, Velasco, and Jones. Jones passed away in November of 1998. 12. 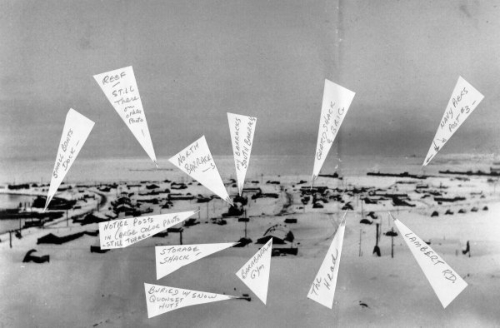 Taken on Attu around July of 1946. Kober Seippel on the left, Rene (me) on the right. For a short story of a long friendship, click here. 13. Kober Seippel is shown on the left, and that's me, Rene (Frenchy) Thibault on the right. 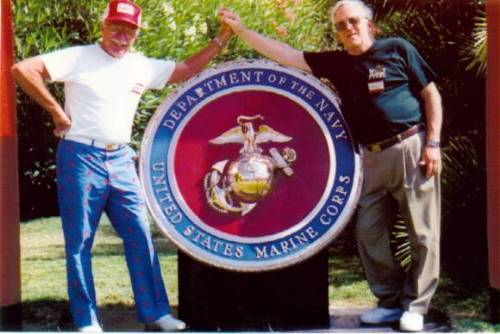 Taken on Camp Pendleton in August of 1996. 14. 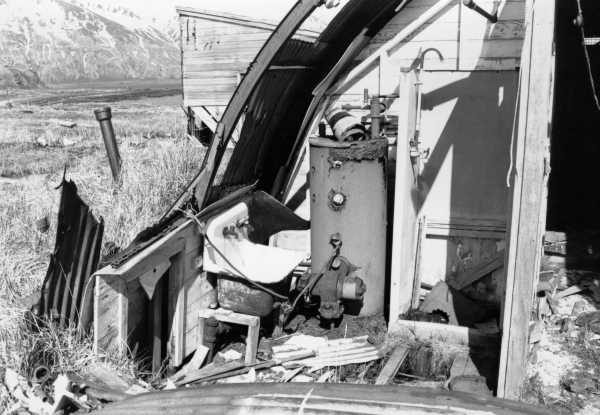 Three folks who shared the "Attu" experience get together for the first time since 1946. Rene "Frenchy" Thibault on the left, Edwin Robnett in the middle, and Charles Pizzotti on the right.